The intent of this section is to be oriented around vehicles that are commonly encountered in missions, and oftentimes are crewed by "non-specialized" players (as opposed to more combat-oriented armored vehicles like tanks). These vehicles are typically intended to be used to safely convey troops to a fight, and support them the whole way, including participation in the fight as well as everything leading up to and resulting from it. We will start off with a rundown on the pros and cons of mechanized and motorized support, as seen from the eyes of the infantry it is tasked with supporting. The pros and cons of mechanized/motorized support in the combined arms role are as follows. Mobility and resulting flexibility. Mech/motor assets allow an infantry force to move over most types of terrain at a rapid rate. This gives infantry leaders tactical flexibility and allows them to rapidly react to changing situations in a way that a foot-mobile force would not be capable of. Carry extra gear, ammo, medical supplies, etc. Vehicles can carry additional supplies that would not be feasible to ruck in as an infantry force. This can prove key for longer duration missions, and can help to prevent anyone from needing to scavenge from the enemy for weapons and ammo. Great as a base of fire/overwatch. Thanks to the weapon systems carried, mech and motorized vehicles can work very well as a base of fire element, or as overwatch. Their mobility facilitates this as well, as it allows them to maneuver themselves to provide the best support in light of the ever-changing tactical situation. Keep infantry fresh for the fight. In , stamina can play a big role in how an attack is conducted. Mechanized and motorized transportation allows an infantry force to arrive at the battle fresh and ready to fight, instead of tired from having to move and assault on foot. Crew-served weapon systems. These come in a variety of forms - typically medium machineguns, heavy machineguns, grenade machineguns, and anti-tank missile systems. All of them are useful complements to an infantry force, and provide a nice increase of firepower. Provide some protection to mounted infantry and crew. While they will not survive any heavy fire, uparmored vehicles can provide basic protection to anyone mounted in them. Provide protection to mounted infantry and crew. Though they cannot survive serious fire (tanks, ATGMs, etc), mechanized vehicles typically will give some additional survivability over motorized vehicles to anyone mounted in them. Amphibious abilities. The USMC's LAV-25 and AAV7 both provide an amphibious capability to friendly infantry. This can be employed to cross water obstacles such as rivers or lakes, or 'swim in' from a seaborne launch. The AAV7 is the primary vehicle for ship-to-shore maneuvers, while both are suitable at crossing smaller water obstacles such as rivers/ponds/etc. Breaching. Due to their sturdy hulls, mechanized vehicles can smash down walls to open up breach points for accompanying infantry. Smoke dischargers. Mechanized vehicles typically are equipped with smoke dischargers. These can be employed to screen infantry movements as well as mislead the enemy about how an attack is being conducted. Clearing lanes of fire. Mechanized vehicles can be employed to knock down trees, walls, fences, and any other obstructions that may be preventing a good line of fire. Lose some stealth. The noise of vehicles operating tends to reduce the ability for a mechanized or motorized force to employ stealthy movement. While this is most significant with the tracked vehicles (such as the AAV7), on a quiet day or night, even wheeled vehicles may be heard in advance of their arrival. While this does give up some of the element of surprise, the speed and mobility of the mech/motor forces can be used to make up for it and regain initiative. Catastrophic destruction of a loaded vehicle can cause horrific casualties. A fully-loaded AAV7 driving over an IED and being destroyed can wipe out an entire squad. It is important to always employ mech and motorized assets with care, ensuring that troops are dismounted when there is any threat that could result in a catastrophic kill of a vehicle. Vulnerable to AT assets (mech). Enemy ATGMs, AT rocket systems, and other weapon systems can wipe out mechanized vehicles when employed properly. Vulnerable to everything (motor). Motorized vehicles are more vulnerable than mechanized ones as a general rule, and must be even more vigilant in how they scan for threats, move, etc. Note that mechanized vehicles share many of the traits of armor, and additional information about their strengths, weaknesses, and employment uses can be learned by reading the armor section later on this page. As a general rule, we expect our players to be capable of handling vehicle role responsibilities early in their experiences with us. While the mechanized vehicles will tend to have more senior and experienced crews, it is important that players are familiar with all of the roles available so that they can operate as a motorized vehicle crewman, or a mechanized one, when the time comes. To that end, let's look at the different vehicle roles available, as they apply to combined arms operations. Note that on the Vehicle Usage page, later, the roles of armored vehicle crewmen will be described in detail. For those interested in operating mechanized vehicles, ensure that you read the armored crew sections as well, as they share much in common. A driver does what it sounds like - drives the vehicle around the battlefield in accordance with his team leader or squad leader's directions. The driver does not dismount unless he is explicitly told to by his team leader, or when the verbal command "BAIL OUT, BAIL OUT, BAIL OUT!" is given by himself or another player. A summary of the driver's responsibilities follow. Drives the vehicle according to the directions of his team leader. Maintains spacing when moving with other vehicles, knows the overall formation being employed. Stays mounted at all times unless told to dismount directly, or when a "BAIL OUT" command is issued. Communicates the vehicles' status and issues a "BAIL OUT!" command if necessary. If the vehicle's tires are blown, he immediately attempts to pull the vehicle into cover or concealment or out of the kill zone before giving the "BAIL OUT!" order. If this is not possible, he immediately halts the vehicle and gives the bail out command. Listens to his navigator's directions or navigates on his own. Watches the road for any signs of satchels, mines, IEDs, explosives, etc. Stays alert and avoids colliding with other vehicles as well as any unexpected obstacles in his path. The navigator is often a fireteam leader. He typically sits in the front passenger seat of the vehicle and utilizes his map and view of the terrain to give the driver clear, concise directions on where to go and how to get there. Gives the driver clear and concise direction at all times. This includes describing the route, giving advance warning of any turns that may be needed, etc. Must be familiar with what the movement plan is from start to finish, in order to be able to make judgment calls if re-routing becomes necessary. A gunner is tasked with employing the crew-served weapon system of the vehicle. Due to his elevated position, he has better observation of the terrain than the rest of the vehicle and communicates what he sees to help maintain the rest of the vehicle's situational awareness. A gunner does not dismount the vehicle unless his crew-served weapon is empty, when he is directed to by his team leader, or when the command "BAIL OUT, BAIL OUT, BAIL OUT!" is given. A summary of the gunner's responsibilities follow. Employs the vehicles crew-served weapon system. Stays mounted on his weapon until it is empty, he is directed by his team leader to dismount, or the command "BAIL OUT!" is received. Passengers of transport vehicles are generally infantry embarked for the purpose of transporting them to a fight. They're interested in getting safely to the fight, and their responsibilities reflect this. Scan for and communicate threats. While they will sometimes not have a good view of their surroundings, they will take advantage of whatever view they do have to maintain situational awareness. Dismount to provide local security. When required (as detailed later in this section), infantry dismount to provide local security for vehicles. This is generally done during temporary halts en-route to their actual final dismount point. Dismount to fight. Once at the final dismount point, or as required otherwise, infantry disembark the vehicles, form up into their respective units, and begin the assigned fight. This can include reacting to a convoy ambush as well as any other unexpected fights that might happen before the main objective. When it comes to embarking troops into a vehicle, the process is straightforward so long as leaders take initiative and command, and subordinates listen for and follow directions. Element leaders always load up last in vehicles. Their responsibility is to get their team members into the vehicle that has been assigned by their higher leadership. After being designated a vehicle, they will direct their team members to it, supervise their loading, and then load up as the last man. If they need to take the front passenger seat of a vehicle to act as a navigator, they will need to direct the person sitting in that seat to get out, then wait for them to mount up before remounting the vehicle. 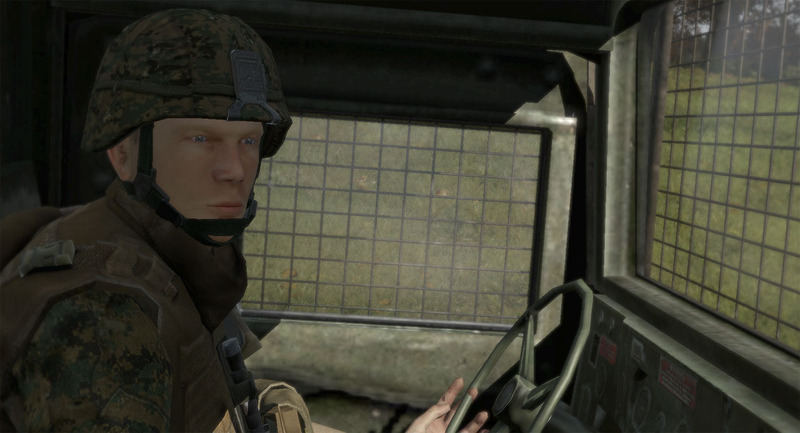 This is simply due to ArmA2 not allowing you to choose which specific passenger seat you load into. As a general rule, a fireteam will attempt to occupy the following positions in a vehicle if they're assigned to one. However, if the rifleman is a completely new player, he will often switch places with another member, though this is not ideal. 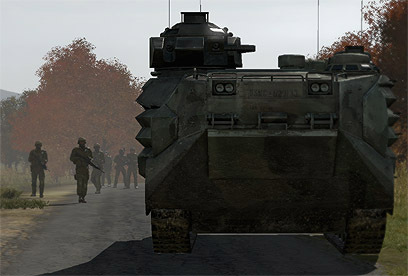 Due to the way ArmA2 models vehicles and armor (which is to say, not very elaborately), armored personnel carriers and troop-carrying vehicles tend to be a bit too vulnerable to enemy fire. It is a good idea to avoid staying mounted as passengers in them, due to the risk of a single RPG wiping out the entire vehicle, its crew, and the immediate family and close friends of everyone who was embarked on it at the time. When dismounting, infantry elements should provide 360° security as a standard. They should also try to get at least fifteen meters of clearance from the vehicle to help protect against primary or secondary explosions in the event that it is engaged. It is a good idea to have "Eject" bound to an easily accessed key combo for emergency dismounts. I use 2x Ctrl+E. Moving on, let's look at the various other considerations that must be made regarding halts and dismounting from vehicles. To help decide on when to dismount, versus when to stay mounted, follow these basic guidelines. If a halt is short duration (30 seconds or less), mounted troops typically stay in their vehicles. All personnel continue to scan around the vehicle and stay alert to any potential enemy threats. If a halt is longer duration, mounted troops dismount and provide local security. Team leaders and squad leaders will order the dismount, at which point the "Dismount Drill" procedures are conducted. When it comes time to remount and move out, team leaders and squad leaders will say "Remount", "Mount up", or some variation thereof, which will then be repeated by everyone in earshot over direct-speaking VON. Each team leader will maintain accountability of their men each time they dismount and remount to ensure that nobody is ever left behind. Regardless of the duration of a halt, the driver and gunner always stay mounted. The only time they will leave the vehicle is if it is disabled or destroyed. The gunner may also dismount if the vehicle gun is out of ammo, so that he can employ his personal weapon. A "5 & 25" scan involves scanning the area immediately around you and the vehicle for five meters, then dismounting and scanning for 25 meters in all directions. The idea is to ensure that the vehicle did not stop near a concealed satchel charge, mine, or enemy. The tactical situation will determine how much time you have to spend on this scan. At the very least, upon dismounting, ensure that you do a hasty 360° threat scan. Note that due to the peculiarities of how ArmA2 models armor and vehicle protection, the "5 & 25" scan often becomes "get out of the vehicle FIRST and scan afterward", instead of the more real-world procedure of scanning the first 5 meters while still mounted. In reality, being mounted in an armored vehicle provides a very large degree of protection. In ArmA2 - less so, so getting out generally takes priority. The 'dismount drill' is a standard set of procedures that are executed upon dismounting a vehicle. While they can differ somewhat based on the tactical situation (ie: under fire or not), the same concepts apply at all times. Dismount once the vehicle has come to a halt or is moving slow enough that exiting will not injure you. Immediately return fire on known or suspected enemy positions while moving to a position that offers cover or concealment. If no cover or concealment is available, either use the vehicle as cover, or take a lower stance. Begin the "React to Contact" battle drill and follow it until directed otherwise. If the situation allows, conduct a hasty "5 & 25" scan, as described above. Ambushers will often try to get vehicles to stop in an area that has been mined or otherwise booby-trapped. Dismount once the vehicle has come to a halt. Move away from the vehicle to a position that offers cover or concealment. If unavailable, take a knee or go prone to reduce your exposure. Conduct a deliberate "5 & 25" scan, as described above. Scan outward and identify likely threat avenues, key terrain, etc. Continue scanning the surrounding terrain for enemy threats until ordered to remount the vehicle or move out with your team leader. Bear in mind that this same dismount drill can be used when exiting a helo or any other vehicle where you may need to immediately fight or form a perimeter and provide security. The decision to dismount can be a command from a leader or on your own disciplined initiative. If given as a command, it will be "Dismount, dismount!". Individual initiative is important here, of course. Don't sit in a vehicle getting shot up if you know you should be dismounting to react to the threat on foot! Important!!! DO NOT say "BAIL OUT!" when ordering an infantry dismount! "BAIL OUT" will cause the entire crew to exit the vehicle as well, and should only be used if the vehicle is in imminent threat of being completely destroyed. 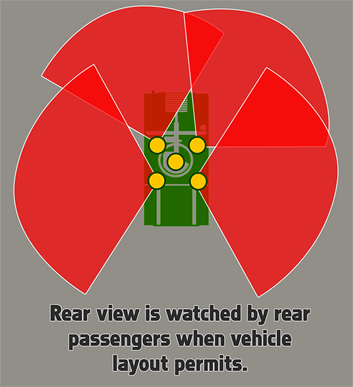 Everyone in a vehicle must scan their sectors to maintain situational awareness at all times. Vigilance will help to spot enemy ambushers and spoil their element of surprise. The sector a person scans will depend upon where they are placed in the vehicle. For a HMMWV, basic sectors are depicted below. 360° coverage is the ultimate goal. Speed in a convoy tends to result in security. This is due to the fact that speed makes it harder to engage the vehicles with threat weapons such as RPGs, command-detonated explosives, and more. However, one must be careful to balance speed with cohesion - if a convoy is spread out too far, the mutual support of each vehicle's weapons, and the security they bring, is lost. This leaves individual vehicles subject to the massed fires of the enemy, which can cause a lot of trouble in short order. To maintain convoy cohesion, the first vehicle must be aware of their speed and the proximity of those behind him. The convoy commander and other vehicle drivers can facilitate that situational awareness by communicating with the lead vehicle and other vehicles, giving them guidance on their speed, interval, sectors of observation, and more. If the lead vehicle needs to unexpectedly brake hard for some reason, the driver will say "BRAKING, BRAKING, BRAKING" loudly over comms to help to prevent the trailing vehicles from piling into him when he brakes. Maintaining good interval is a key aspect of multi-vehicle operations. Depending on the terrain, vehicles should keep from 20 to 100 meters of spacing between each other. This helps to lessen the effects of enemy explosives such as satchel charges and IEDs and makes it harder for the enemy to mass fires on multiple vehicles at once. It is particularly important to maintain good interval when stopping temporarily, taking corners or other types of turns, and halting the convoy. Avoid urban areas whenever possible. It is far too easy for an enemy force to set up a devastating ambush in an urban area. Routes which pass through heavily wooded areas are likewise dangerous, but due to the nature of the terrain found in Chernarus, they cannot be avoided. Caution is the prime defense in that case. The convoy must know where to go, and must be planned out in advance with backup courses of action. If every driver knows the path they're supposed to take, and what the end goal is, they are able to better make tactical decisions and judgment calls in high-stress situations. The convoy must know actions-on. 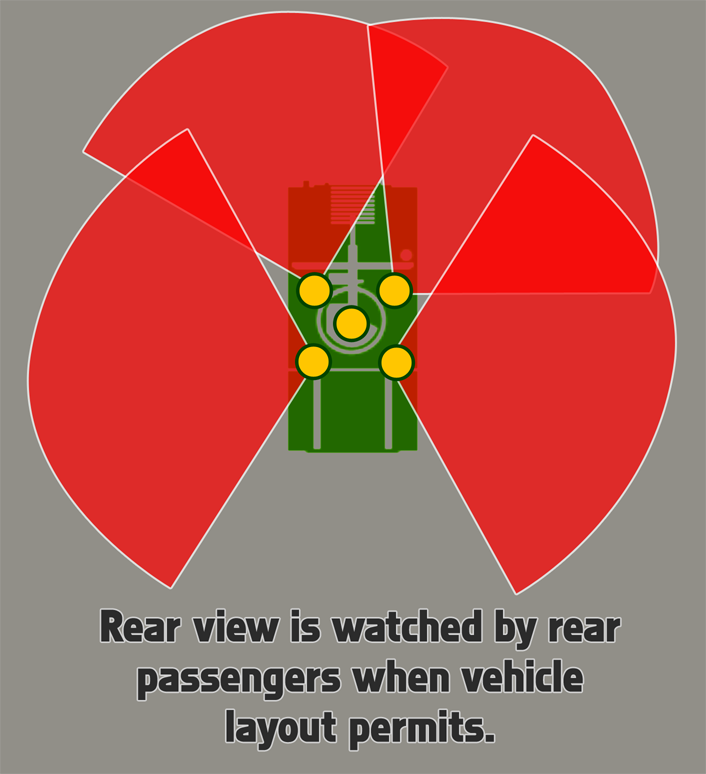 If the vehicles take contact, the drivers must know what they are supposed to do. In some situations it will be important to maintain high momentum and fight through every ambush or contact with ferociously aggressive action, while others will benefit from a more deliberate approach which involves clearing each contact with the help of dismounted infantry. It is up to the convoy commander to ensure that actions-on are briefed before the convoy starts rolling. Gunners must cover appropriate sectors. The first vehicle in a convoy watches to the front, the last vehicle watches to the rear, and vehicles in between alternate left-right-left so that guns are pointed in all threat directions at all times. It is important that gunners maintain their 360° observation even when contact seems to primarily be coming from a specific direction - if not, it is easy for the enemy to exploit this and maneuver into or fire from unobserved areas while the gunners are distracted elsewhere. Cohesion and security at halts are critical. Maintaining a cohesive formation and using good security procedures are critical to convoy survivability. If a full halt must be conducted, dismounted infantry must be employed to keep the convoy safe while halted. Cohesion is just as important, as it masses friendly forces and makes it much more difficult for the enemy to endanger the convoy. If ambushed, our standard procedure is to fight through it while mounted and not stop until we have exited the kill zone. If the enemy begins firing on a convoy, all gunners should immediately bring their weapons to bear and put out a heavy volume of return fire. Even if the gunners cannot see the enemy, they need to be firing in the direction that they are taking fire from. Once an ambush is initiated, the lead vehicle driver needs to be particularly vigilant in his scanning of the road. 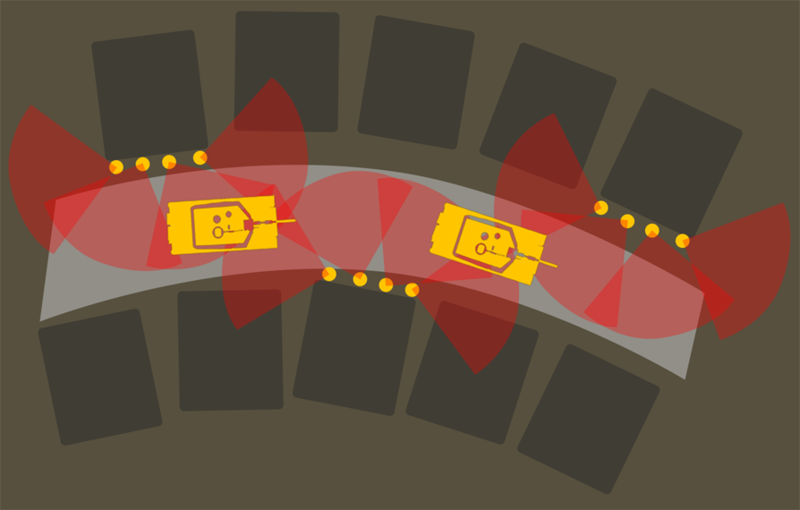 The odds of an IED or other explosive being placed in the path is extremely high, and it will require split-second timing to avoid such devices. When an ambush occurs, "blow through" is done unless otherwise stated. Leaders can also emphasize this by stating "Blow through!" or "Push through!" upon making contact. The alternate method of dealing with contact as a convoy is to assault into the contact. This is done with the verbal command of "Assault through!". When this order is given, troops dismount while vehicle gunners lay heavy fire onto the enemy positions. The dismounts and vehicles then proceed to maneuver towards the enemy and decisively engage and destroy them. When the enemy has been defeated, troops remount and continue on with the mission. Note that when assaulting through, the infantry and vehicles are still ultimately interested in continuing on the convoy. They have some freedom to maneuver off of the convoy route to take the fight to the enemy, but they do not want to get pulled too far away. 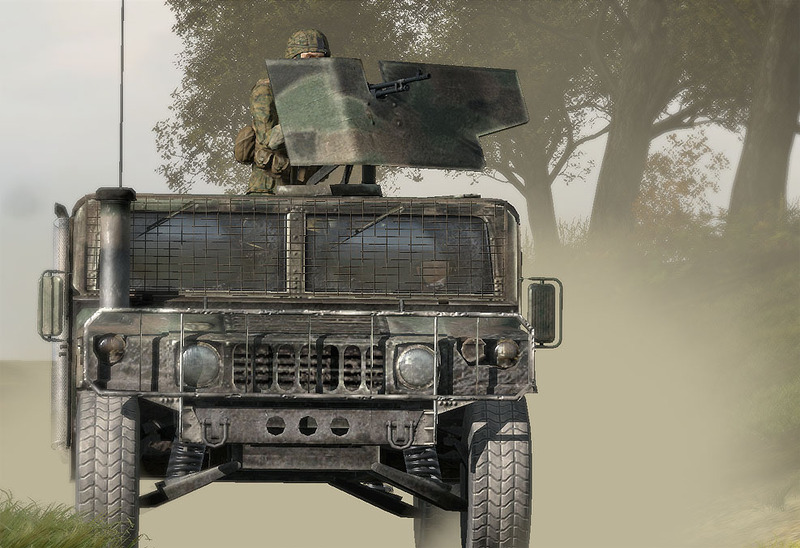 Most of the types of damage that can result in a disabled vehicle cannot be worked around in ArmA2. Because of this, our standard procedure for a disabled vehicle is for the other vehicles to drive around it, halt in a safe area (out of the kill zone, if it's an ambush), and recover the vehicle crew if they're still alive. It is up to the crew of the disabled vehicle to get out of their vehicle and fight their way to friendly forces. Stopping more vehicles within an ambush kill zone would only result in casualties and more disabled vehicles. When a vehicle is disabled, anyone who sees it states "Vehicle down!" on comms to indicate it. Canalizing ground is any sort of ground in which vehicles are heavily restricted in how they maneuver within it. When this sort of terrain is encountered, infantry are dismounted to move ahead and sweep the area before the convoy is committed to moving through it. It is important to keep the dismounted infantry within range of the supporting fires of the convoy vehicles while conducting this sweep, too. When halting a convoy, simply stacking the vehicles up on the road one-after-the-other is not the ideal way to do things. While this can be used for very brief halts, the better choice for reaction-to-contact or longer-duration halts is either the Herringbone formation (preferred, easiest to do) or the Coil formation. Note, of course, that infantry should conduct dismount drills and provide local security whenever convoy halts are made, as described previously. 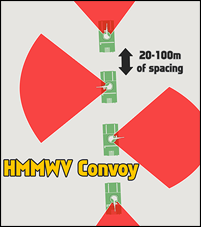 The standard formation to use when halting a convoy is known as the "Herringbone". 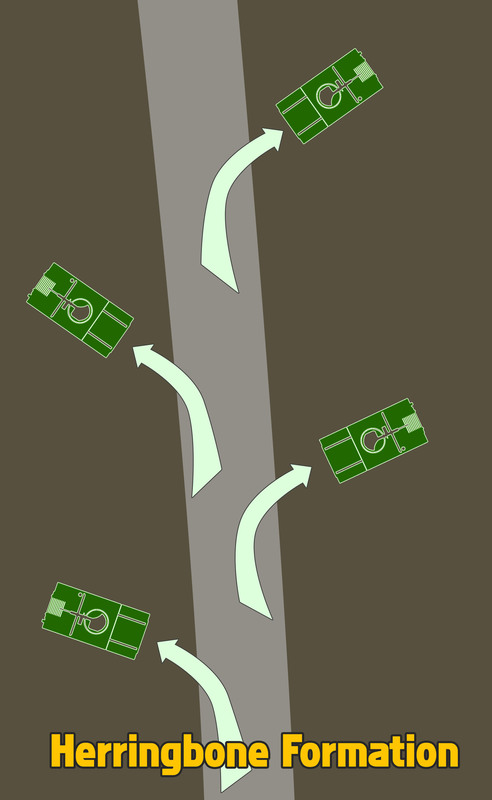 In this, the vehicles pull off to both sides of the road in an alternating manner - the first vehicle pulls off to the right, second to the left, third to the right, and so on. The vehicles stay angled at about a 45° angle relative to the road. This formation is easy to execute and allows for the convoy to get good security when halted while also spreading the vehicles out a bit more than otherwise. 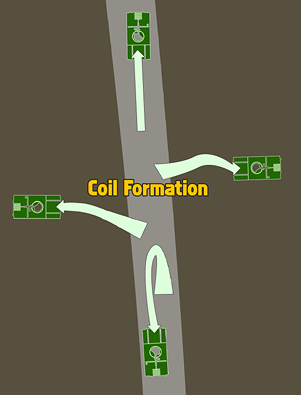 This formation can be used in open terrain as well, in which case the direction of movement becomes the "road" and vehicles move relative to it. The other formation that can be used is more geared towards armored vehicles. 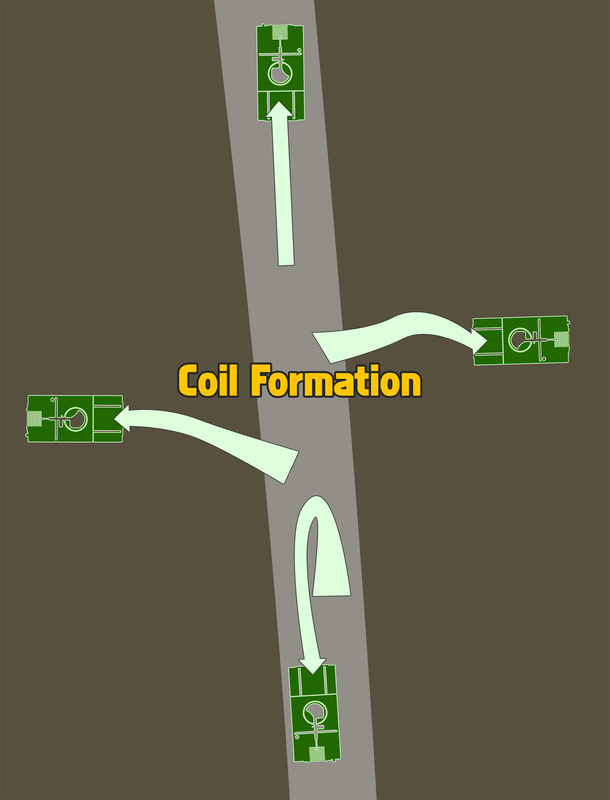 When executing a "Coil" formation, the lead vehicle stops and faces forward, the second vehicle pulls to the left and faces left (angling his strong frontal armor to the left), the third vehicle pulls to the right and faces right, while the trail vehicle turns around or spins in place so that it is oriented towards the rear. This allows for the vehicles to place their strongest armor in the direction that they're covering and provides excellent 360° security. Armored vehicles are powerful force multipliers in the combined arms battle. When properly employed with the support of infantry, the combination is difficult to match. The most common armored vehicle assets that USMC units will have with them, in increasing order of power, are the AAV7, the LAV-25, M1A1, and finally the M1A2 TUSK. The AAV7 and LAV are light and medium armor, respectively, while the M1A1 and M1A2 are heavy armor that can dominate a battlefield. Being familiar with and knowing how to work with armor are critical skills for infantry and vehicle crews to have. It starts with knowing what the pros and cons of armored employment are in A2. The pros and cons of armored vehicles in the combined arms role are as follows. Powerful weapon systems and optics. Armored vehicles generally have cannons, machineguns, and sometimes even missile systems. These allow them to knock out strongpoints (bunkers, fortified houses), locate and kill snipers, and protect friendlies against enemy armored threats. They also provide excellent overwatch. Armored & survivable. Armored vehicles, as their name implies, are capable of taking some punishment. They are generally invulnerable to small-arms fire and require multiple anti-tank rockets to disable or destroy them. Armored vehicles can even be used to screen friendly infantry movement by driving slowly and allowing the infantry to move with them, using the armor as cover. Can coordinate closely with infantry. When properly employed, armor is integrated with infantry and works alongside them, allowing the two to mutually support each other and increase effectiveness. Fast & responsive. Armored vehicles can move quickly around the battlefield, allowing them to exploit enemy weaknesses at a moment's notice. Intimidating to enemy infantry. Unless well-equipped with reliable anti-tank assets, armored vehicles tend to intimidate enemy infantry and cause them to be very defensive and non-confrontational. This is generally due to the infantry not wanting to draw the armor's wrath unnecessarily. Breach capability. The tough armored hull of an armored vehicle enables it to smash down walls to make unexpected entry points for supporting infantry. Smoke capability. Armored vehicles are often equipped to deploy large smoke screens on short notice. These can mask friendlies from unexpected and sudden enemy contact, or provide concealment for an assault or similar. Loud, large, and visible. Armor typically is a loud, visually distinct and noticeable element on the battlefield. Loud engines, tracks, turrets, cannons, and other weapon systems tend to make armored vehicles stick out prominently. It requires a great deal of crew skill to move a vehicle in such a fashion that it stays concealed while still remaining effective in the fight. "Hull down" techniques are key to learn if such employment is to be successful. Limited observation of close threats. Most armored vehicles have a hard time maintaining awareness of the areas directly around their vehicle. It is possible for their crew members to 'turn out' to see better, but this has the downside of making them vulnerable to enemy small-arms fire. Vulnerable to ATGMs, cannons, and enemy armored vehicles. Designed for fighting armor specifically, these weapon systems pose a significant threat to friendly armored forces. ATGMs and cannons can wreck an armored vehicle easily, while enemy armored vehicles can carry a wide range of nasty weapon systems that can do the same. The manner in which these systems can be concealed in defensive or ambush positions makes them all the more challenging to counter. Vulnerable in close and urban terrain. Due to their limited observation aspects, armored vehicles are at a situational awareness disadvantage when operating in close or urban terrain. Extremely vulnerable to enemy air assets. Attack helicopters and close air support jets pose a serious threat to armored vehicles and can knock them out with ease once located. As you can see from the above list, the key to successful infantry/armor integration is mutual support. An armored vehicle without infantry is vulnerable, just as infantry without armored support are vulnerable. When in close terrain (such as dense woods or urban environments), it is beneficial to have infantry dismounted and moving on all sides of the armor. Infantry should lead the armor in such a situation, to prevent the armor from stumbling into an anti-armor trap or ambush. Armor/infantry coordination in close terrain requires a great deal of communication back-and-forth. Armor need to know where the friendly infantry are, where the enemy is, while infantry need to communicate to the armor where it should move, whether there are any friendlies close to the armor (perhaps in its blind spot), where they suspect the enemy to be, and so on and so forth. Infantry bring the following benefits to armored vehicle crews when employed together. Ability to spot targets without exposing the armor, and then direct the armor's movement and fires to kill the targets efficiently. Guiding movement in close terrain. Keep a healthy distance from the armor. Armored vehicles have a hard time seeing infantry close to them. Since you're a squishy infantryman, it's a good idea to keep your distance from the armor. In particular, you want to avoid being behind them unless they are deliberately providing cover for friendly infantry. If not, they are apt to throw into reverse without any warning, which can result in pancaked infantry quite easily. Watch out for overpressure from tank main guns . The blast overpressure that comes from the main gun being fired can severely injure anyone nearby. Stay clear of tanks when they are likely to be employing the main gun. 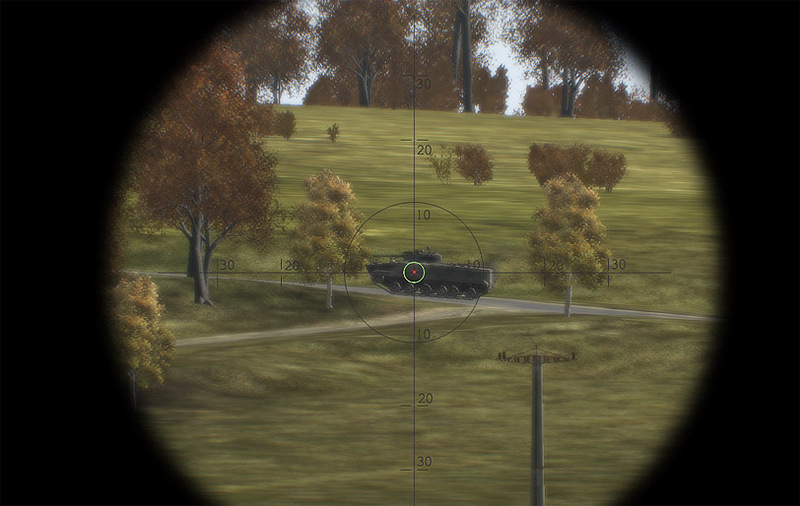 Screen the tank in close terrain, ensure infantry are moving ahead of it as well. Infantry should be moving in a fashion that allows them to observe and cover any threat avenues before the tank becomes visible to them. This is intended to spot ATGMs, RPG teams, and other infantry threats so that the armor can be warned, or the infantry can kill them before they have a chance to do anything. Identify and communicate threats to the armor. Whenever a known or suspected threat is identified, the armor should be informed of it as appropriate. If the threat is high, this typically means that the armor will be told to stop while the infantry clear it out. Identify and communicate any threats to the infantry that the armor can instead handle. Some threats will exist that will not be a danger to the armor, but may pose a severe threat to infantry. Typically these take the form of enemy infantry concentrations, snipers, machinegun bunkers, and other forces that can hurt infantry yet do not pose a threat to armor. When these are identified, it is the job of the infantry to direct the armor so that the armor can eliminate the threat. Be aware of the armor's breaching abilities, and request them when appropriate. More info follows in the "Breaching with Armor" section, below. Armor can act as part of the base of fire, freeing up more infantry to participate in an assault. While you will generally want to keep infantry with the armored base of fire to provide close protection, you won't need as many people in the actual base of fire due to the magnified optics and powerful weapons of the armor being a force multiplier. Be mindful of overpressure dangers to the infantry . Don't fire the main gun of a tank when in close proximity of infantry unless absolutely necessary, or if you are positive that supporting infantry are clear of the overpressure danger zone. Let the infantry lead in close terrain. An anti-armor ambush will wait for vehicles to present themselves before firing. If infantry are leading, they will have an opportunity to spot the hidden ambush elements before the armor comes into view, since the ambushing elements will typically be waiting to fire. If necessary, the armored vehicle commander can dismount to talk directly with the supporting infantry. Do so in cover, of course. This can be useful for 'terrain familiarization' discussions. One of the defining attributes of armor when in support of infantry is the ability for it to stand off from the battle and deliver accurate fires from beyond the effective range of the enemy. This can be brought to bear with infantry by providing overwatch of infantry elements as they move to contact. An armored vehicle can suppress the objective with machinegun fire, take out fortified positions with cannon fire, and provide immediate accurate fire upon any threats that might emerge to oppose the infantry. This allows for the infantry to rapidly move up to the enemy positions with the minimum of risk. Having an armored vehicle many hundreds of meters away from suspected enemy positions also helps to lessen the likelihood of enemy anti-tank gunners being able to engage the armor. This comes most into play with unguided anti-tank rockets like the RPG-7; guided weapons tend to have much longer effective engagement ranges and are not as easily defeated by range. In short, armor is much more effective against infantry at a distance than infantry are against armor at a distance. Take advantage of this at all times, and especially when providing support to dismounted infantry elements. 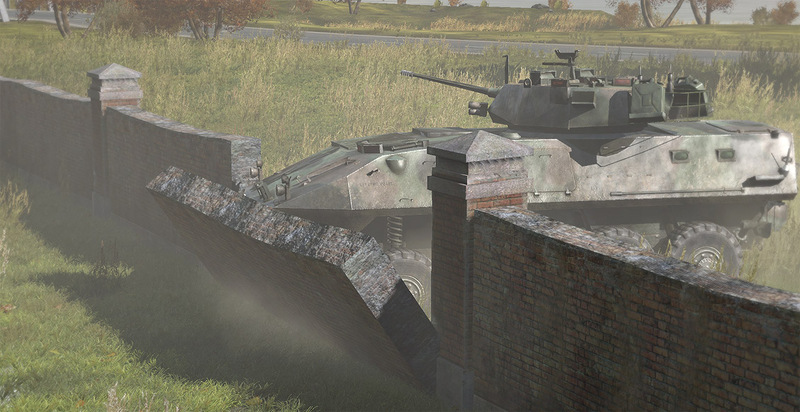 Breaching a wall with the help of an armored vehicle is a good way to surprise defending enemy forces and give your infantry a fighting chance. Typical enemy defenses focus on natural "choke points" such as a central entry to a compound that is otherwise walled off. Breaching a wall in an unexpected place and attacking through the breach is an excellent way to catch the enemy off guard and destroy them before they can shift their defenses. The process for breaching with any armored vehicle is fairly simple. Assess the situation, decide on a breach location. Be on the lookout for mines, satchel charges, IEDs, or any other devices that might be in place to protect against the possibility of a breach at the location chosen. Once the breach point is finalized, the breach vehicle proceeds towards it at full-speed and smashes a hole in it. When about to impact the obstacle, the breach vehicle fires smoke dischargers if available. This will mask it upon breaching and provide concealment to the infantry. After creating the hole, the vehicle immediately reverses out of the breach point to clear a way for the infantry. The reasoning behind having the breach vehicle withdraw after creating the breach versus charging into the unknown is simply that it increases the survivability of said vehicle. While a tank might be able to drive through the breach point, plant itself on the other side, and obliterate everything that opposes it, lighter infantry fighting vehicles will end up being disabled or outright destroyed by things like AT-4s, RPGs, and other light anti-tank weapons. It's a safer bet to simply have the infantry secure the area before bringing light armor in. Infantry proceed in from either side of the breach and assault through it while the breach vehicle provides overwatch. Bear in mind that walls can also be breached with cannon and machinegun fire. HEAT rounds from tanks will flatten walls, while a box of .50cal bullets will crumple some as well. Note too that "prepping" a breach point with .50cal rounds from an APC can soften up a wall and make it easier to breach. When breaching a wall from a stand-off location via cannon or machinegun fire, the breach vehicle simply ensures that no friendly forces are within a danger radius of the breach point. Once that is confirmed, they direct fire onto the breach until it opens, at which point they shift fire to allow the infantry to storm in. Minefields are not frequently encountered in the scope of ArmA2, but when they are, they can be devastating if not properly approached. The first sign that a minefield has been encountered is typically a vehicle having its track blown off or possibly being outright destroyed. When this happens, the assessment must be made very rapidly that the threat is from mines and not ATGMs or concealed enemy armor. Due to minefields frequently being covered by anti-tank weapons, it may not be a simple matter to identify the threat as mines and not simply attribute their effects to any AT weapons that might begin firing after the initial mine explosion(s). Once the mine assessment has been made and the element leader calls out that a minefield has been entered, the most likely way to deal with it is for all vehicles to immediately shift into reverse and attempt to back out of the field the way they came. This gets the vehicles out of any kill zone that might exist that is focused on the mined area. If a vehicle has been disabled by a mine, the crew will abandon it and head out of the minefield on foot. If the minefield must be breached, engineers will need to sweep ahead of the vehicles to locate and disable all the mines. The engineers should focus on clearing a lane through the minefield that is about one and a half to two times as wide as the vehicles that will be passing through it. Trying to clear the entire field takes too many people and too much time to be practical in most situations. During the lane clearing operation, all available armor and infantry will provide overwatch on the engineers. They will suppress or destroy any threats that emerge. 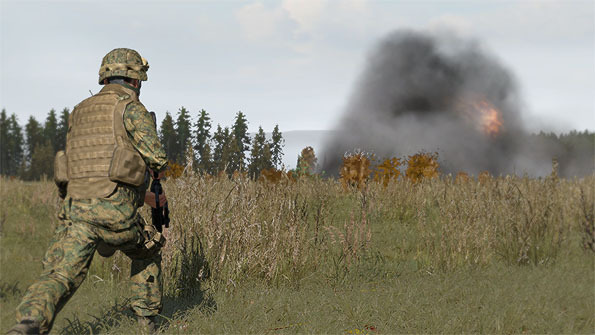 Smoke should be employed to mask the clearing operation when feasible, and the engineers may need to crawl to clear their lane if enemy fire is heavy enough. Note that if an engineer becomes a casualty due to enemy fire or explosives, a supporting infantryman will move in to pull him out, get him to cover or concealment, and administer first aid or call for a medic ( -only). The engineers will ignore their wounded and dead and leave their evacuation and treatment to the supporting infantry. Once a lane has been cleared by engineers, a single engineer will act as a "ground guide" that the vehicles will follow through the lane. This acts as a final set of eyes on the ground, scanning for any left over mines, as well as giving the armored vehicles (which may have limited visibility) a clear reference to follow through the safe lane. 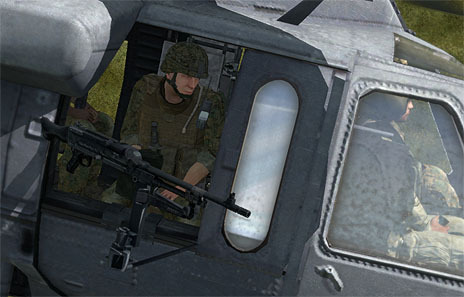 In ArmA2, helicopters provide infantry with both transportation and fire support. They are the most tightly-integrated air asset available to ground troops and act as a major force multiplier. Helicopters are commonly employed in a support role, and all players are expected to be familiar with their employment in the combined arms fight. That familiarity begins with knowing the pros and cons of their combined arms role. The pros and cons of helicopters in the combined arms role are as follows. Observation. Helicopters are great at reconnaissance and security. This is in part due to their relatively low speed and the low altitude that they operate at, combined with observation pods on many of the most common helicopters employed. Insertion/extraction capability. Helicopters can airlift troops and drop them at will nearly anywhere they want. This allows for great flexibility in planning operations. Orbit capability. A helicopter can stay "on station" over the ground forces it is supporting with ease, due to the dynamics of helicopter flight as compared to what jets are able to do. A helicopter that is orbiting over friendly forces is available to provide support in the form of machineguns, cannon fire, rockets, ATGMs, or observation, depending on the variant and armaments. Rapid reaction to CAS requests. Due to the ability to orbit as described previously, a helicopter acting in a CAS role can rapidly react to any support requests made. This reduces the time between a CAS request being made, and rounds landing on target. This, in turn, makes it more likely that the CAS will be able to suppress or kill the enemy threat before it can do harm to friendly forces. Precision CAS. Helicopters can be very precise in their employment of fires, due to speed, altitude, magnified optics, the capability to hover, et cetera. Stealth. Helicopters can get low to the ground and can hide in terrain in a fashion similar to ground vehicles or even infantry. They can transport troops in a concealed fashion, as well as sneak around in a combat capability, popping up into view only when they're ready to kill something. More vulnerable to most threat weapons. Helicopters can be taken down by a wide range of weapon types if they're not carefully employed. They fly low and slow, relative to jets, and transport variants can be very vulnerable when flying into or out of a landing zone. Weaker armament than jets. Helicopters cannot lift as much ordnance as jet aircraft, meaning that they almost never have anything that can pack the same kind of punch as a 500lb or 2000lb bomb from a jet. However, they make up for this with the precision of their fires. Loud. The enemy will definitely hear helicopters coming in, unless in the midst of a major battle. When infantry are embarked in helicopters, they end up taking roles that complement those of the standard helo crew. This includes two primary roles - the Navigator and the Door Gunner. Since these roles are only typically used when ferrying troops to combat, it makes sense to use those same troops to man the positions that benefit them. A variety of issues make it beneficial for each helicopter pilot to have a passenger act as a navigator. This typically will take the form of the senior passenger (ie squad leader or fireteam leader) acting as the navigator. The navigator will board the helo first, into the copilot seat. This gives him the ability to see clearly in the direction of flight, as well as use the imaging turret sensors on those aircraft that have them (such as the UH-1Y and MV-22). Imaging camera suite, located below the nose of the UH-1Y 'Venom' helo. A navigator allows the pilot to concentrate on flying without having to try to switch back and forth between his map to try to watch his route, which helps to reduce the risk of 'controlled flight into terrain', as they say. The navigator also acts as an additional set of eyes that can scan the terrain for enemy threats, suitable LZs, and more. Navigators do not plot the helicopter's route to the LZ - instead, they help guide the pilot along the route that was chosen during planning, allowing the pilot to focus more fully upon his flight duties. Navigators use several verbal techniques to help assist the pilot's flight. Navigator: On my mark, make your heading two seven five. Navigator: Mark, make your heading two seven five. Navigator: Maintain this heading. In one kilometer you will cut due west... 500 meters to turn... Stand by to turn on my mark... Mark, make your heading due west. Navigator: When we exit this valley there will be a small hill to our front-left. Pass it on the southern side and then prepare to make a hard right turn to the south. The landing zone is a large field in front of a forest that will be visible after your turn, set down as close to the treeline as you can. Not to be confused with a "Crew chief", who is part of the helicopter's crew, "door gunners" are instead part of the squads or teams embarked upon the helo. These gunners help to maintain security during flight, and debark with their parent unit once at the LZ. If engaged en-route, the door gunner communicates with the crew chief and pilot and assists them in returning fire on enemy contacts. Like the Crew Chief, the door gunner is also responsible for communicating the proximity of obstacles to the pilot when in close terrain and attempting to land. This can be done with simple concise verbal commands to the pilot to tell him which way to move the helo to avoid obstacles, such as "Tree on left, move right 10 meters". Upon spotting any of these, he immediately informs the pilot, either through "Vehicle" VON or Teamspeak. The gunner can use either clock directions or relative directions (ie: front, left, right, etc) when calling these targets or objects out. Be proficient with helo door gunnery. This includes knowing how to correctly lead targets when the helicopter is moving at a variety of airspeeds. As a general guideline, one must lead in the direction that the target is moving relative to the gunner's perspective. If a target is crossing from right to left, the gunner must lead the target by aiming to the left side of the target. Disembark once the helo has landed at the LZ. The door gunner, being part of an infantry fireteam and squad, does not stay mounted in the helo. Once at the LZ, he jumps out and rejoins his fireteam. An airborne assault is simply an assault which uses helicopters to move the infantry into position. Airborne assaults are planned by the highest leadership element in game - usually the Platoon Commander in a cooperative environment. The first thing that must be considered for a airborne assault is where the landing zone(s) will be. Things like equipment loadout, force composition, main objectives, etc are typically done on the mission-makers side, so they are not generally planned for at the platoon level. The platoon gets the orders [in the form of a mission operation order] and acts on them. When choosing a landing zone, the following must be taken into consideration. In short, you use METT-TC and OCOKA, but specific emphasis is made on the following elements of it. Terrain. What kind of terrain is around the objective? Is it hilly, flat, mountainous, etc? Flat terrain makes LZ selection difficult and generally forces you to land further from the objective. Hilly, rough terrain can allow for a closer LZ to the objective, but makes it harder to find a good LZ to set down at - which increases the usefulness of being able to drop troops without setting the helicopter down. Approaches. Being able to approach the LZ and never come into visual of the enemy is highly desired. If they cannot see you, they cannot hit you with direct-fire weapons, and you may be able to confuse them as to your precise landing spot. 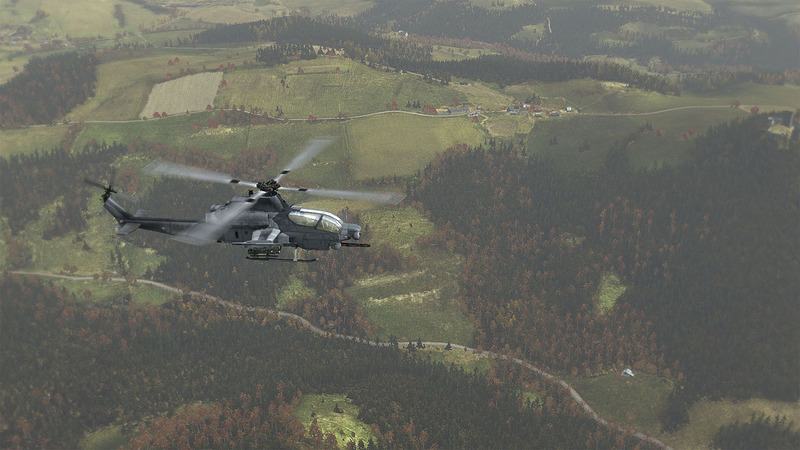 Terrain depressions, hills, and even forests can be used to mask the helo on the approach. Cover/Concealment availability. Once the troops are on the ground, what kind of cover and concealment will they have? The more the merrier. At the same time, landing in an area with too much hard cover can be tricky for pilots, increasing the risk of damaging the aircraft. Proximity of the enemy. The closer you try to land to the enemy, the riskier things get. While 'hot' landings can be done, they require the element of surprise to be effective, and benefit greatly from CAS and artillery fires being used to suppress or otherwise occupy the enemy during them. Likelihood of patrols. The more likely enemy forces will be patrolling far out around the objective, the further the LZ should be, or the more the LZ should be prepped (by artillery or CAS) before the landing occurs. Enemy anti-air capabilities. If the enemy has Strelas or Shilkas/Tunguskas, a masked approach becomes critical. If that is not possible, the LZ must be far enough away from the enemy that there is no reasonable chance of being engaged by the enemy anti-air at or near the landing zone. After the primary LZs are chosen, a set of alternate LZs should be determined based on the possibility of enemy contact at the main LZs. Alternate LZs should typically be position 500 or more meters further away from the expected enemy positions than the primary LZs, as an additional safety measure. Once the LZ(s) and alternate LZ(s) are decided on (and clearly marked on the map), the next step is to coordinate the overall assault. At this point, the following needs to be hashed out. What squads will be in what helos? As soon as this is known, the squad leaders will oversee the embarkation of their troops into their assigned helos. What helos will go to what LZs, and in what order will they fly? Establishing an order of flight is critical if one wants to get to the LZ in any sort of organized fashion. What is the planned route to the LZ? High/low alt, terrain following, etc. Mapping out the route with map marks is always useful. Note that pilots can use the 'vehicle' channel to place detailed waypoints on the map for their own reference during flight. When time is available to do this, it should always be done, as it greatly reduces the workload on the pilot/navigator and allows them to concentrate more fully on situational awareness. Simultaneous. A simultaneous landing is when all aircraft hit the LZ within about fifteen seconds of each other. This puts a lot of boots on the ground very rapidly, and forces any defending forces to split their fires between multiple helicopters. Simultaneous landings typically cover a decent stretch of ground, which further dilutes the effectiveness of any defensive enemy fire. The number of guns on the helos also helps to suppress the landing zone on the way in, and provides support on the way out. Staggered. Staggered landings occur when helicopters hit the LZ one after the other, with 30 seconds to a minute or more between each landing. This allows one squad to get on the ground, establish the security of the LZ, and provide coverage as the next helo comes in. Staggered landings are sometimes forced by the terrain - if there is only a small LZ in a clearing that is suitable for landing, you may not be able to orchestrate a simultaneous landing. Waves. Waves occur when the number of helicopters available cannot airlift the entire assault force in one go. The key characteristic of wave landings is that the initial force will be alone on the ground for as long as it takes for the aircraft to return to the staging area, pick up the next wave, and fly them in. If the enemy becomes aware of the fact that waves are being used, they are likely to try to ambush successive waves. It is important to not become predictable in flight path/ingress directions when using waves. What are the responsibilities of the various squads and fireteams upon landing? Each squad needs to know where to go immediately upon landing so that they clear the LZs as quickly as possible and provide security for the assault force. Security must be given high-priority consideration, as it is critical to the success of getting all friendly infantry onto the ground safely. Each fireteam should know what area of responsibility it has, and the squads should be given clear orders regarding what areas they are responsible for covering at the landing zone. When it comes time to board the helos, element leaders will direct their teams to the appropriate helos and get everyone loaded up. The element leaders board last, after getting accountability for their troops, and then tell the pilot that all troops are loaded. The squad leaders report to the Platoon Commander when their squads are fully loaded. When boarding helicopters, approach them from the side. This is for two reasons, one of which is modeled by default, and one of which is modeled in . The first reason is because helicopters like the Seahawk and Huey have door gunners, and a good practice is to avoid crossing their line of fire. This may not come into play much during boarding at a friendly location, but it will be a large factor of hot extractions and disembarking. So, get in the practice of not crossing the gunner's line of fire when embarking or disembarking from a helo. The second reason, which is modeled in , is so that the tail rotor does not turn you into flying chunks of meat. Being off to the right or left of the helo means that the tail rotor would have to move a great deal to strike you, which means you'd likely have enough time to get the hell out of the way before being minced. It is important to ensure that critical elements such as anti-tank, demolitions, and other mission-essential roles are spread-loaded throughout the different helos. This is done to ensure that the loss of one helo does not cripple the assault. Squad leaders are each in a different helo, and the Platoon Commander spreads his PltHQ element out through all of the helos to ensure that the PltCo, PltSgt, and Plt Medic are not all lost if their bird goes down. It is important that the overall assault coordinator (typically the Platoon Commander) clarifies the actions that will be used for any unexpected situation in advance. I will describe the standard procedures for them, which are standard operating procedure (SOP) and thus in effect unless the assault coordinator specifically says otherwise. One of the most damaging events to an airborne assault, particularly one done at the platoon level, involves a helicopter being shot down before reaching or upon reaching the landing zone. Thanks to the damage model of A2 and , helicopters can oftentimes land semi-successfully after taking heavy damage. While this will likely result in many wounded and likely several killed in the helo, the chance for people to survive is significant and must be acknowledged. Just because a helo goes down does not mean that all hands aboard were lost. A Russian Tunguska scores a hit on a Knighthawk via an AA missile. The helo went down hard into a collection of trees immediately thereafter. The steps for reacting to a downed helo start as soon as it looks like an aircraft is going down. These steps are typically carried out by the pilot, navigator, copilot, or door gunner - the roles most likely to have a good visual on things. Observe the crash. If the helo goes down in view of others, the speed of the helo upon impacting the ground, as well as whether it landed in trees/on rocks/etc, can give a good rough idea of whether any survivors are likely. Identify the manner in which the helo was shot down. It could have been from SAF, HMGs, RPGs, missiles, etc. Knowing what caused the crash helps the other helos to change their tactics accordingly. Communicate the threat type if known, and that a helo went down. Identify the helo if known (ie: "Bravo's helo"). Give an idea of whether there are any likely survivors. If necessary, call out an LZ shift for the troop transports. For example, "LZs shift 500m west! ", spoken so that all aircraft pilots can hear it, to ensure that the landing is not made in an area with unexpectedly heavy enemy activity. All that is needed is a compass direction and a distance, or a verbal description if appropriate to the terrain. This call requires a rapid evaluation of the enemy threat posed as well as sound judgment. Continue with the landing. Getting troops on the deck becomes even more important if a helo has been lost - the longer they stay in the air, the more likely it is that another helo will go down. If CAS is available, it can proceed to do a visual recon of the downed aircraft, to see if survivors are visible and provide close air support if so. Once all troops are offloaded, if no CAS is supporting, a transport helo can be dispatched to do a visual recon of the downed helo. This aircraft can provide support via their defensive machineguns, but the enemy threat may make it impossible to orbit the area. For example, if a Tunguska or Shilka shoots down a helo, there's no reason for another helo to fly into that danger area - they can't help against a threat like that. Bear in mind that the Platoon Commander will be involved in the decisionmaking process for a downed helo scenario and will be giving orders as needed. The ultimate goal is to rescue any survivors of the crash, but it will be up to the PltCo as to how exactly that will be done, given the tactical situation at the time. The other "worst case" scenario involves landing in heavy contact, where the helicopters are coming under concentrated and accurate fire before they get on the ground, or are ambushed upon landing. The threat to the landing force must be rapidly evaluated. If the helos can land safely and offload their troops, and the troops will be in a position to effectively engage the enemy, the landing should continue as planned. If the threat is particularly high or the LZ has been compromised by the positioning of enemy forces, shifting LZs becomes necessary. Note that consideration must be paid towards any friendly elements that are already on the ground - if one helo disembarks troops and the second is shot down, the third should make every reasonable attempt to land close enough to support the players already on the ground. 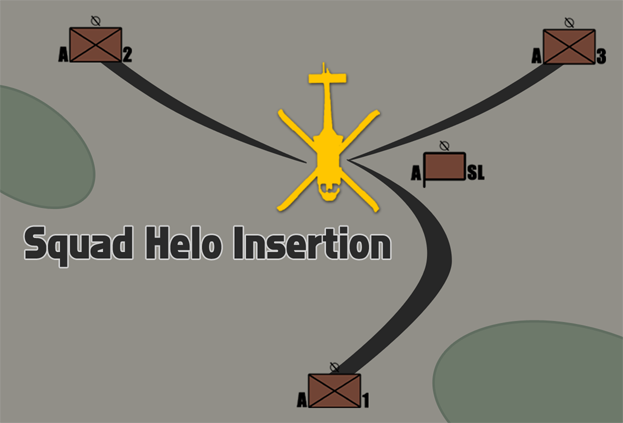 If all helos are on the ground and disembarking troops when an ambush is sprung, they may be faced with a tough decision - offload the rest, or abort the drop, hope that the people on the ground can hold out, and drop the rest of the troops close enough that they can move to support their comrades in short order and potentially attack a vulnerable flank or rear of the ambushing forces. Whatever the case, the decision must be made rapidly and announced clearly so that a coordinated response can occur. An emergency landing is typically the result of unexpected damage to the aircraft. Fuel leaks or damaged tail rotors can cause this, as can outright engine failure. It can happen anywhere - at the LZ, over random enemy territory, in friendly territory, and even over water. The steps for dealing with an emergency landing are as follows. Identify the type of emergency and begin immediate actions to deal with it. Fuel leaks are a problem when they make it impossible to get to the current destination. Fuel leaks are relatively easy to deal with, provided that you have time to fly out of hostile fire before setting down. Damaged tail rotors make landing very tricky. It is best to maintain a high speed to lessen the effect of the tail rotor, get out of enemy territory, and then find a nice, open field to land in. Engine loss is the most serious emergency. Autorotation must be immediately executed for there to be any hope of survival. Autorotation is covered in detail in the Vehicle Usage section later. Declare an emergency. The pilot will communicate on command channel that his aircraft is having a serious problem which requires an emergency landing. Communicate where you are attempting to land, so that other helos and the Platoon Commander are aware of where to search for you. Upon a successful landing, immediately get mounted infantry out and into defensible positions. Security is the immediate concern. If the landing position allows for the defensive guns of the helo to be employed, use the helo crew to man them. Communicate with higher as to where the landing was made, the status of forces on the ground, and anything else relevant. If wounded are present, establish an aid position from which any accompanying medical personnel can provide aid. Make a decision to either guard the crash site and await pickup, or push out to a more defensible area. Act upon that decision and communicate it to higher. Continue with the mission if possible, or await further guidance from the Platoon Commander. The final step before lift-off is the pre-flight checklist. This is done by the Air Assault Coordinator to ensure that every relevant step has been completed. Pilots have been given their LZs. Areas of responsibility upon landing have been given at both the platoon (per squad) and squad (per fireteam) levels. Rally points have been assigned. Elements have embarked as planned. Crew chief and door gunner positions are manned. Navigators, if required, are positioned appropriately. Element leaders have given confirmation and have accounted for their troops. Once the pre-flight checklist has been mentally and verbally run through (as necessary), the air assault coordinator gives the order and the helos take off to begin the airborne assault. At this point the pilots of the assault elements move via their assigned routes to their respective landing zones, maximizing their use of the terrain to conceal their approach. Depending upon the forces available, an attack or recon helicopter may precede the transport helicopters to the LZs to sweep the area for enemies. Artillery can also be used to "prep" an area or lay smoke to conceal the landing from known or suspected enemy positions. Assuming that none of the above-listed contingencies happen (downed helo, heavy contact, emergency landing), the following steps take place at the landing zone. The helo comes into range of the LZ and prepares to land. Speed and altitude drop accordingly. It is important that the pilot's approach is smooth and fast, as it minimizes the amount of time the embarked troops are in a vulnerable position. The doorgunner and crew chief scan the LZ area and suppress any contacts as necessary. The helo crew scans vigilantly to ensure that the helo is not about to set down into an ambush. If they see anything suspicious, they immediately report it to the pilot. Helo touches down at the LZ. Pilot announces "Go, go, go!" loudly, which the senior infantry leader on the helo repeats. It is important to let the pilot make this announcement, since he is the one that knows whether or not the landing is complete. "Jumping the gun" and hopping out too soon can result in rather nasty falls. Upon hearing "Go, go, go! ", all infantry immediately dismount, and the door gunner and crew chief hold fire to avoid hitting any dismounting infantry. The door gunner dismounts after his fellow infantry are safely out. Note that when disembarking, every player should avoid crossing the door gunners' lines of fire if possible. Even though the door gunner and crew chief are supposed to hold their fire when troops are debarking, there may be times when they have to risk it and fire anyway. Obviously, running in front of something like an M134 can end your day in a real harsh way. To play it safe, players should do their best to avoid crossing the lines of fire of the doorgunner and crew chief. As a door gunner or crew chief, you should exercise a great deal of caution when firing in the five seconds after touchdown during which the troops are disembarking and moving out. An automatic rifleman scans the area as he rushes away from a UH-1Y. Senior element leader (ie: squad leader) oversees the dismounting process. He steps away from the aircraft a few paces, takes a knee if possible, and watches the passenger section of the aircraft. All infantry immediately head to their assigned areas. 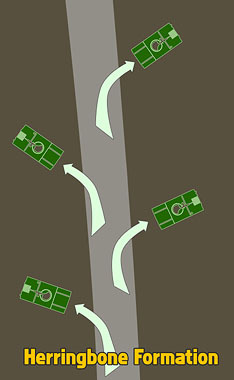 As the illustration below shows, a typical squad insertion involves the fireteams spreading out in a triangular formation to provide 360° security. The first fireteam moves in front of the helo, the second moves to the rear-right, and the third fireteam moves to the rear-left, orienting out and away from the helicopter. If hard cover and concealment is around, the infantry naturally integrate it into their movement and defensive plans. When no troops are left on the helo, the senior element leader tells the helo pilot that ground forces are clear of the helo. The helo takes off. Upon hearing that ground forces are clear, the crew chief resumes firing suppression of any enemy forces around the LZ. The pilot then begins his post-insertion mission, which oftentimes is that of aerial reconnaissance and support. Assuming that everything goes according to plan, an entire platoon can hit an LZ, unload, set up a perimeter, and have their transport aircraft flying out of the LZ area in under a minute. Getting troops on the ground is only part of the problem. Oftentimes they will need to be extracted as well - sometimes from a clear LZ and sometimes from the midst of a heated firefight. Helo extractions can take several forms. At the highest level you have a full multi-squad extraction of all friendly elements that requires several helos to achieve. At a lower level you may see an extraction of something like a scout/sniper team, forward observer, or other small element. The main point for the infantry on the ground is to do everything they can to minimize the risk of the helo being shot down when it comes in to make a landing. This requires good choices of landing zones, posting security, good lanes of fire and observation, and good communication and coordination with the helo. The underside of a venom - best viewed as a USMC player! First, give a heads-up to the pilot along with a general area he should start to head for. This allows the aircraft to be making progress towards the area before the specific LZ has been decided on. Identify a good extraction area and mark an LZ on the map. Oftentimes the tactical situation will require you to choose an LZ that is difficult to observe and fire into. Forcing the infantry to run a bit further, provided that it reduces the chance that the helo will be shot down, is an acceptable side effect. Communicate the LZ position to the extract helo(s). Use clear and concise language and ensure that you tell the helo about the situation at the LZ - specifically, mention any expected threats, whether the LZ is hot or cold, the terrain, and the intent in choosing it. For example - if you picked an LZ on a specific side of a hill, make sure that the pilot(s) know that you did so because you expect an enemy threat to exist on the other sides of the hill. Move to and secure the landing zone. Clear the area of hostiles and think about where enemies could position themselves that would be a threat to the incoming helicopters. Post security. Security elements will watch for the enemy and hold them off if necessary. They will be the last to board the helos. Security elements must be confident that their leaders will tell them when to board the helos, so that they can focus on providing security and not being distracted by watching the aircraft come in, land, et cetera. Typically the entire squad will be employed as the security element. Guide the helo in verbally and visually and deploy smoke if available to help it on final approach. The senior element leader on the ground will communicate with the pilot to ensure that he is coming to the correct LZ. If operating in visually cluttered terrain, smoke can be deployed to help reduce the amount of time it takes for the pilot to locate the LZ. The senior leader on the ground will talk to the helicopter pilot until he has touched down, giving him feedback on where he is landing, where friendly troops are, where the enemy is expected to be, and correcting him as necessary. Board rapidly and get out of there. Once the helo is on the ground, security elements are called in and board the helicopter. The process of boarding must be done very rapidly, with each team leader guiding his teammates to the helicopter as quickly as possible. The last person in should be the overall element leader, who is accountable for his troops. Once they're in, he boards the aircraft and loudly states "We're in, go, go, go! ", at which point the helo takes off and the crew chief and door gunner, if available, fire heavy suppression to cover the aircraft as it gains speed and altitude. Close air support (CAS) is the use of aircraft to directly support ground forces. It comes in two main forms - that of fixed-wing (jet) support, and rotary-wing (helo) support. Both have their pros and cons, and both are major force multiplies for the infantry. This section will cover the basics of CAS and how it is employed by Shack Tactical. The pros and cons of CAS in the combined arms fight are as follows. Great effects on target. CAS assets carry tremendously powerful munitions. When they are delivered accurately, they are capable of destroying anything on the battlefield. Hard to defend against as ground forces. Unless the enemy has organic or supporting anti-aircraft defenses such as surface-to-air or MANPAD missiles, defending against good CAS pilots is incredibly difficult for them. Combining CAS pressure with ground force pressure is an even more difficult threat for the enemy to try to deal with. Can be very precise when employed properly. With a good FAC and a good CAS pilot, powerful munitions can be delivered with extreme accuracy. Throw in laser-designation and it becomes even better. Vulnerable to enemy anti-aircraft defenses, particularly SAMs and MANPADs. It is often mandatory to destroy any enemy anti-aircraft sites in an area before CAS can operate freely in an area. Some threats - such as MANPADs - are much harder to purge from the battlefield, which forces the CAS aircraft to continually keep an eye out for the threat indicators that such systems present. Can cause significant FF if good air-ground comms are not maintained. 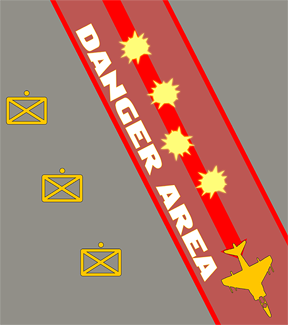 If the FAC cannot properly describe friendly locations to the CAS aircraft, or give good target indicators to guide the CAS aircraft onto the enemy, the risk of friendly fire becomes significant. Considering the power of most CAS munitions, a bad drop can wipe out an entire friendly squad in the blink of an eye. Can take time to get them onto the right target. The more confusing the on-the-ground situation is, the longer it can take to 'talk' a CAS aircraft onto the right enemy target. Rushing this can easily cause a friendly-fire incident, too. Can take time for them to get on-station. CAS aircraft may not always be able to orbit the battlefield for the duration of a fight, due to fuel or rearming considerations. It is important for the FAC to know the status of each CAS aircraft and the likely delay between calling for a strike and having it occur. Without laser designation for some munitions, effects may be unpredictable. Laser-designation is by far the best way to get reliable, on-the-mark terminal effects. Without it, depending on the terrain, visibility, and the ground situation, the effects of some munitions - particularly bombs - may not be as predictable as otherwise. A "Forward Air Controller " or "FAC" is a player who is tasked with coordinating air elements in the support of ground forces. The FAC is expected to be knowledgeable in the employment of any CAS elements, be they fixed-wing (jets) or rotary-wing (helicopters). The more familiar the FAC is with the aircraft, the better he will be able to direct its employment. The best FACs have extensive experience as a CAS aircraft pilot. The primary job of the FAC is to locate enemy targets and call in air strikes on them. He acts as the 'eyes on the ground' for the CAS aircraft and increases the effectiveness of the air support with the information he is able to relay to the aircraft. It is of great importance that a FAC is used when player-controlled aircraft are operating in a close air support role. Without his support, the CAS aircraft cannot reach the same level of responsiveness and effectiveness. Ensure that friendly forces are clear of the target being attacked. 300 meters worth of distance is usually sufficient. If the strike is going to land within 300 meters of friendly forces, ensure that you inform the CAS Aircraft of this. This is known as a "Danger Close" strike and requires extra coordination and finesse to ensure that friendlies are not struck. Ensure that the CAS Aircraft makes his run parallel to friendly positions when employing bombs, rockets, or guns. This lessens the likelihood for a 'short' round to impact friendly forces and cause casualties. Give the CAS aircraft an approach/egress direction if necessary. For instance, if you suspect that there are anti-aircraft guns positioned in one direction, give the aircraft an egress direction that will keep them from flying into that danger area. A standard CAS request is as follows. This can be expanded on or condensed as the situation dictates - this should simply serve as a guideline of what information can be useful and how to present it. Establish comms with the aircraft. This call allows for the CAS aircraft and FAC to establish that CAS is needed and warn the pilot that the full CAS request will follow. "Snake One, this is _______, requesting immediate CAS"
Describe the target. The FAC gives a brief description of the target to be attacked. This helps to give the CAS aircraft an idea of what ordnance he will use. "Target is an enemy infantry squad"
Describe the target location. The FAC clearly describes where the target is located. Map markers are good to use for this, combined with some kind of visual reference that can be seen from the air. "They're in a treeline to the west of Bravo's position, 600 meters out. Marked as 'treeline ei'." Define control, time on target, and ordnance to use. Whether the strike happens ASAP or at a designated time or in response to a specific call, and if necessary, the type of ordnance requested. "Give me bombs and rockets on that target ASAP." Elaborate as necessary. Anything not covered already, as time and the situation allow. "The treeline runs north-west to south-east, approach from either. Friendlies are located 600 meters east of the treeline in good cover. The enemy is spread throughout that treeline; hit it all over." "Snake One, need immediate CAS on enemy squad at marker 'treeline ei' 600m to the west of Bravo. They're all over the treeline, hit it ASAP with whatever you've got." There are several standardized words and phrases used when communicating with the aircraft. They're broken down below into "Terminal Control" and "General" sections. Laser On. Used by the aircraft pilot to request that the laser designator be switched on. Once it's on, the FAC calls "Copy, laser on" at which point the aircraft attempts to acquire the target. Laser Off. Laser designator has been switched off. Aircraft must give a "Laser on" command for the FAC to designate again. Cleared hot. This call informs the CASA that they are authorized to release munitions. Typically this will not be used in a gaming environment, but it's something to keep in mind. Continue dry. This call is given either by the FAC or the CAS Aircraft. "Continue dry" simply means that the aircraft is going to fly an attack run but not release ordnance. This can be the result of an abort call or when circumstances make it likely that ordnance release at that particular time will be less than desirable. If the FAC tells the CAS aircraft to "Continue dry", the CAS pilot should reply with "Roger, continuing dry" to let the FAC know that he understood the message. Abort, abort, abort. 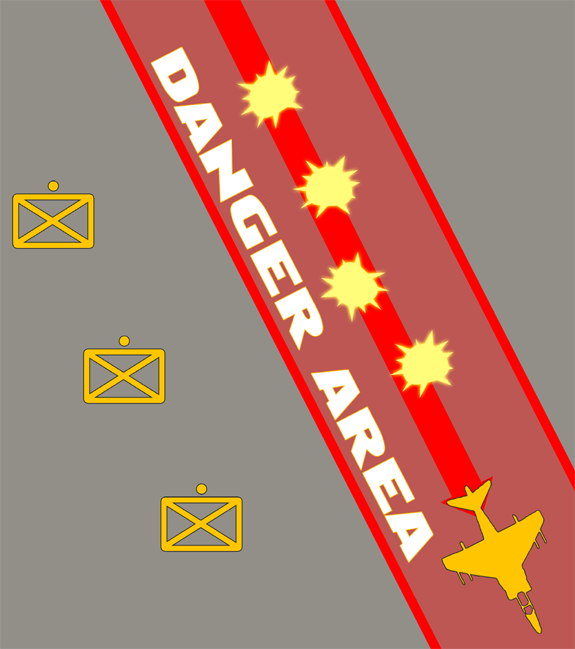 CAS Aircraft must break off the attack. Munitions release is not authorized. This can be used, for instance, if the FAC sees that the CASA is about to attack the wrong target, friendly positions, or if other negative circumstances will degrade the strike's effectiveness beyond usefulness. Bombs away. Bombs have been dropped. When utilizing laser guidance, this notifies the FAC that the bombs are falling and that laser designation must be maintained until impact. When in a "danger close" situation, this can be used to notify the friendly ground forces to take cover. Visual. CAS aircraft has spotted friendly positions. Blind. CAS aircraft cannot spot friendly positions. Tally. CAS aircraft has spotted hostile targets. No joy. CAS aircraft cannot spot hostile targets. Winchester. CAS aircraft is out of munitions. Lasing a target is by far the best method for CAS strikes. There are a few guidelines to keep in mind when utilizing this method. Do not turn on the laser until the CAS aircraft calls for it. This will typically be when the aircraft is ten seconds out from the target. Turning it on early only increases the chance that the enemy will see it and attempt to evade. The laser spot is visible to the enemy if they're looking for it. If necessary, lase something near the target, out of view of the enemy. Once the aircraft acquires the laser and is moments away from dropping their ordnance, shift the laser directly onto the enemy position. This will give them much less time to react in the event that they spot the dot. Ensure that the distance shifted is not so high that it causes trouble for the strike aircraft. Ensure that your laser is splashing on the target, and is not obstructed by something closer to you (ie: a bush, tree, wall, etc). If you don't see the laser shining on the target, shift around until you do, or until you're absolutely positive that you are not accidentally lasing your own position. ADVANCED - A variation of the above technique can be used to give the CAS aircraft more time to prepare for his run. If the FAC knows what direction the strike aircraft is coming from, and the terrain permits, he can lase the terrain in the direction that the aircraft will be coming from. After the aircraft acquires the laser, he can then shift it along the ground rapidly (without breaking the aircraft's lock) until it is located on the target itself. Doing this can provide an extra few seconds for the aircraft to situate itself for a perfect attack run, but it requires a well-coordinated FAC and CASAP to pull off. CAS without laser designation is a bit trickier. Follow these guidelines. Map markers are as accurate as the player placing them, and with good players, they can be pin-point precise. The main problem with map marks is that it requires the pilot to spend time looking at the map, which can be problematic. Depending on the type of landmark and distance of the target from it, landmarks can be either excellent or merely acceptable guides. The key thing to keep in mind is that the landmark must be something that can be easily seen from the air. The type of air asset (jets naturally are moving much faster than helos) will dictate what type of landmark is suitable. Landmarks can be natural parts of the terrain (ie boulders, a prominent cluster of trees, the bend of a river) or manmade (buildings, destroyed vehicles, smoke columns). This is the least desirable way to orient aircraft on a target, since it typically alerts the target and gives them a bearing on friendly forces. In a pinch, infantry can utilize smoke (preferably launched via an M203) or a Mk-19 to designate a target for aircraft. Tracers can also be used to designate targets. Guiding a CAS strike with munitions can be very difficult, and should be avoided when possible. Efforts should be made to accomplish the guidance in another fashion before resorting to this, particularly when stealth is a concern. Flying as a CAS pilot is a demanding but ultimately enjoyable role. As a CAS pilot you have the capability to dramatically influence the course of a battle with the timely delivery of your ordnance. Becoming a proficient pilot takes time and is best done offline at first, with simple bombing scenarios and navigational drills to get you up to speed on how best to approach targets, navigate, deliver dumb ordnance, etc. The finesse comes in putting this into play in a live session and being able to communicate with ground elements and safely put bombs on target without friendly casualties. To that end, here are a few CAS tips. Ensure that you have your keybinds set up properly in advance. You will want to bind the following controls at a minimum: Lower/Raise Flaps, Lower/Raise Gear, Eject. I suggest 2x Left Ctrl + E (double-tap) for eject. TrackIR is a godsend if you plan to fly aircraft (be they jets or helos) with any frequency. I highly recommend that people interested in flight check it out. More info can be found on the Basic Rifleman page of this guide, in the Situational Awareness section. Know how to use your flaps. Flaps provide additional lift and stability to the aircraft when operating at slow speeds. They are extremely valuable for gun or rocket runs in a low-threat environment. Pressing "TAB" will lock and cycle through targets for any ordnance that can acquire a lock (ie LGBs, Hellfires, etc). When view distances are low and navigation becomes difficult, roads can be followed at low-altitude to get you to a target town. The benefit of this is that the road will run through the town, which means you will automatically be aligned with the town simply by following the road. When view distances are med/high, flying at altitude while inverted can give you a great view of the terrain below. Don't rush a drop. If you can't acquire a laser designator target fast enough to align and drop ordnance properly, make another pass. Rushing tends to cause bombs to be ineffective or cause friendly casualties. Make attack runs parallel to friendly troops whenever possible. This helps to prevent long or short rounds or bombs from impacting in friendly positions. Dive to increase your accuracy in bomb delivery. Coming in from higher altitudes and diving towards the target can do a great deal to increase the accuracy of dumb munitions. Even laser-guided bombs can benefit from this tactic. Alternatively, use a pop-up attack method to deliver your ordnance - fly in low, pop up before the target, then dive to attack. Laser marks can be used to guide you onto a target even if you are out of laser-guided bombs. Simply switch to the bombs, acquire the laser target, align on it, and make an attack run. When you are within gun range, switch to guns and you should be aligned on where the laser mark was and ready to engage whatever target was being painted by it. 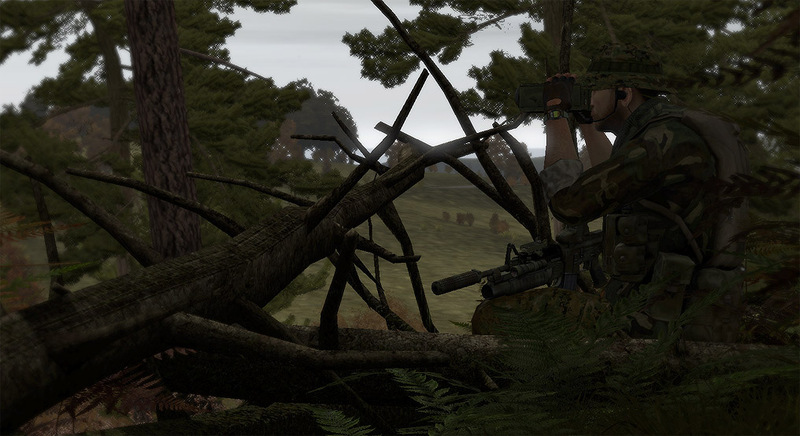 In ArmA2, these are a bit more powerful and precise than their real-world counterparts and are quite useful weapons. FFARs give an aircraft a large number of high-explosive warheads which can be fired with good precision at the enemy. They have a moderate blast radius and are very effective against infantry, vehicles, and light armor. These are best employed from rotary-wing aircraft, but still pack a punch when employed from fixed-wing craft. FFARs can be used effectively in any quantity required, from a few rockets fired at a single target to an entire barrage being placed on an area target. In , FFARs have increased dispersion and more appropriate ballistics, making them less of a precision weapon than by default. Hellfires, TOWs, and Mavericks fall into this category. 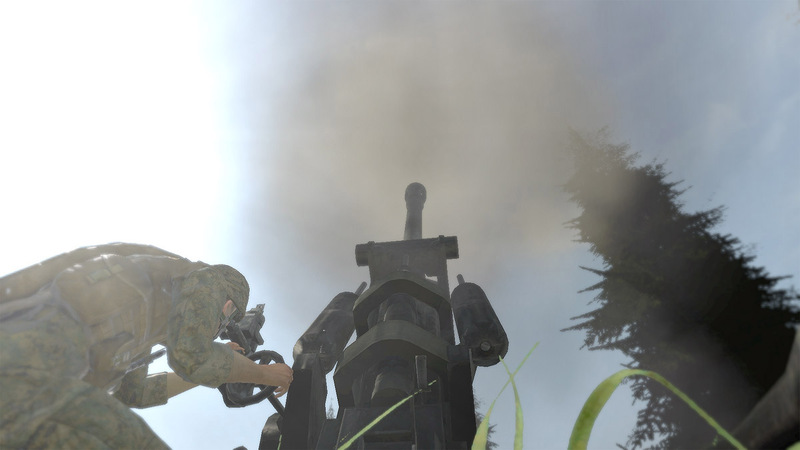 They are lock-on, fire-and-forget (in ArmA2) missiles that are perfect for knocking out tanks and other priority vehicle targets. The AGM-65 "Maverick" is fired by the A-10 Warthog and will knock out anything on the battlefield with a single hit. 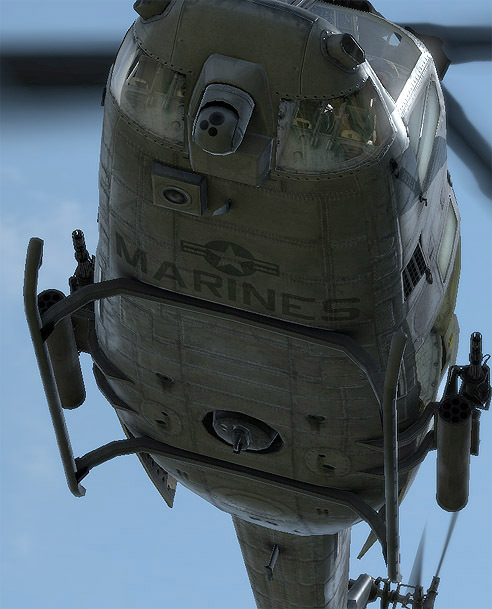 TOWs and Hellfires are carried by helicopters, by comparison, and do a slightly lower amount of damage that is generally capable of taking out armored vehicles with a single hit. These come in a variety of sizes, from 500 to 2000 pounds. They are a bit on the difficult side to be accurate with, due to the lack of a CCIP (continuously calculated impact point) feature on the heads-up display. However, if you can get these to land close to a target, you'll probably obliterate it. These are extremely effective in the urban environment, against all types of vehicles, and of course against infantry. Most buildings can be flattened by 'dumb' bombs, killing everything inside of them in the process. Same as the dumb bombs, except fitted with guidance fins and a laser tracking package that allows them to guide in on a spot of reflected laser energy. With proper employment these are the deadliest CAS munitions around. Landing one of these on-target will obliterate it and everything around it. The only tricky part is practicing good FAC/CASAP coordination to ensure that the right target is lased, and that the delivering aircraft is able to drop the bomb where it's needed. The effectiveness of CAS cannons depends largely upon the type of cannon. The 20mm cannons on the Harrier and Cobra are best at destroying light armor, vehicles, and infantry. Naturally, the Cobra is best able to engage infantry with the cannon due to it being a rotary-wing aircraft that features a swiveling cannon. The Harrier, on the other hand, is a less-than-ideal platform for a 20mm cannon due to its high speed and the requirement for very high precision and sustained hits to cause damage to heavier targets. A Harrier pilot is much better off using his GBUs than trying to score kills with the cannon. On the other side of things, the Apache has a very powerful 30mm cannon that can make short work of most everything on the battlefield. The A-10 Warthog has an even more impressive 30mm cannon that can tear through most tanks like a knife through tinfoil. Both of these aircraft can do an enormous amount of damage with their cannons and should view them as a primary rather than secondary armament. Artillery is long-range fire support that can act as a massive force-multiplier to the troops it is supporting on the ground. An infantry platoon supported by a battery of 155mm Howitzers has far, far more firepower at its fingertips than a Company (four platoons) of enemy infantry without artillery support. Powerful terminal effects. Artillery rounds come in a variety of types and sizes, but the general rule is that they offer powerful blast effects and are effective at putting a great deal of hurt on enemy forces, particularly soft-skinned vehicles, light armor, and infantry. Specialized rounds are also effective at dealing with hardened or armored targets. Can cover areas that cannot be reached or observed by infantry, complementing any infantry defense. Due to their flight characteristics, artillery can rain down on areas that the infantry may not be able to effectively cover. This can be used, particularly in the defense, to reinforce the overall defense by forcing the enemy to either face the direct fires of the defending infantry, or come under the indirect fires of the supporting artillery. Long reach. Artillery starts at several kilometers of range, and goes up significantly with each increase in artillery type. They are able to sling rounds all over Chernarus with relative ease. Can screen with smoke or illuminate the night with flares. Smoke rounds are available to provide either a defensive or offensive smoke screen in most weather conditions, while flares can be used to illuminate targets and terrain at night. Variety of ammo types and fuze types for maximum effects. Arty comes with a huge variety of ammunition and fuzing types, described later in this section. Whether working against infantry or armor, there is a fuze and round combination for pretty much every eventuality. Can be directed by a single person without giving their position away. A forward observer can call in and adjust artillery fire from a concealed location without ever giving themselves away. One good forward observer in a good position, with the support of an artillery battery, can be a major thorn in the enemy's side. Delay between calling for it and getting effects on the ground. The time-of-flight of artillery rounds will vary based on whether they are fired as high-angle or low-angle fire (note that mortars are high-angle only), as well as the distance from the target. This delay can be up to a minute just for the time-of-flight. Add onto that the fact that the artillery battery must plot the target, align their guns to it, and load the ammo before ever firing the first shot, and you may have to wait several minutes before the first shot impacts. Requires skilled FO to call effectively. A bad forward observer can easily call artillery down onto empty ground, or worse, friendly positions. There are several aspects of realistic artillery support that are not seen in games with more casual action-based artillery (ie BF2) or mods/scripts that don't model it ballistically (ie the typical "map click" scripts for OFP/ArmA). Some of these elements are as follows. It takes time for the artillery crew to dial in the information from the Forward Observer and get their battery ready to fire. Artillery support can be quick, but it is not instantaneous as in some unrealistic models of it. Artillery rounds fly a ballistic path from the guns to the target. There are many factors that can influence the accuracy of the rounds, and several measures that the enemy can take to help to lessen their effects. Guns may fire high-angle, low-angle, from close or long range, with any combination of sheafs and such, and all of this combines to dictate how much of an effect any given strike will have on the target. The terrain they are used in, and the terrain at the target, also factors into it. It takes time for the artillery to impact after it has begun firing. There is a significant amount of "lead" or pre-planning that must be factored into the use of an artillery asset. Finding chokepoints, natural rally points, and other likely enemy routes and pre-planning fires on them can help to make the artillery responsive and able to engage such targets effectively. Waiting until the last second and trying to call in a strike on a moving enemy will be far less effective than planning ahead and anticipating their movements and attack routes. The Forward Observer is the platoon's direct link to artillery support. He is tasked with calling for fire in accordance with the Platoon Commander's direction, adjusting fire, and generally being all things artillery. The proper use of artillery requires that the person calling it in is knowledgeable on the previously-listed aspects (and more) and is competent as a "Forward Observer". Artillery in the hands of a skilled FO is a huge asset, whereas without that skill the artillery will only end up churning dirt and making loud but ineffective noises. Get a good perspective. Calling for accurate fire oftentimes (but not always) requires you to see what you're trying to hit. Adjusting fire requires that you can not only see the impact area, but can also view it from a perspective where you can accurately gauge depth. This usually means that you will need to be at a higher elevation than whatever you're directing fire on. Don't pick an obvious observation point. There were very few church steeples that survived World War II in western Europe. While such a position gives you a commanding view of the terrain, it also sticks out like a sore thumb and tends to attract all manner of enemy fire, particularly of the high-explosive variety. The use of tall structures must be considered carefully - the benefit is observation, the downside being an obvious target to the enemy. Try to predict where the enemy will go, where they might halt to regroup, and what lanes they'll attack through when in the defense. Pre-plotting targets in these areas will allow for you to be more responsive with your artillery fire. Establishing reference targets also allows for friendly forces to more easily call for quick-reaction artillery strikes on pre-established locations. Know your round types, fuze types, gun/battery types, sheaf options, and fire options, and take advantage of them. A good FO will know how best to utilize his artillery assets to maximize their effects on the enemy. Coordinate closely with infantry units at all times. Pay particular attention to coordination when suppressing the enemy while friendly forces move up to assault. You want to maintain artillery fire on the enemy unit the maneuvering friendly elements are close enough to the objective to assault it immediately after the artillery fire is lifted. Failure to do this can result in heavy casualties for an assault force, as the enemy potentially will be able to recover in time to attempt to repel the assault. Know the different types of artillery and how to employ them effectively. Mortars, howitzers, and MLRS systems all have distinct characteristics and uses. Know how to adjust fire. Be familiar with concepts like "Bracketing", firing spot rounds, calling in adjustments to human players, and so on. This is sent from the firing unit once the first rounds are fired. The FO at that point knows that rounds are on the way. The FO can use this term to communicate to his platoon that a friendly artillery unit has begun firing. This is sent from the firing unit five seconds before the first rounds impact. The FO at this point should observe the impact area to watch the effects of the artillery. Adjustments will be called if necessary to get the rounds on target. When Splash is called, all friendly units within "danger close" distance of the target should ensure that they are in good cover in case the rounds are off. Firing unit has fired all rounds for the fire mission. Depending on the number of rounds and the trajectory used, "Rounds Complete" can sometimes come before the first round ever hits. The following table of artillery round types and their effects is taken from the Chain of Command's "Artillery Module" manual for VBS1. If you would like to read more about CoC's Unified Artillery mod for Operation Flashpoint (along with videos of it in action), you can find my old beta preview of it here. HE is usually TNT or Composition B, and takes a PD (QUICK), VT, delay or Mechanical Time fuze. Effective against personnel, vehicles, and structures. HE/VT is also effective against stationary armored vehicles. HE/Delay is good for targets under vegetation, and for flipping vehicles. Bursts on impact, or in the air (with fuze time). On bursting, the shell spreads burning white phosphorus, for marking, screening, obscuring and incendiary effects. It is useful against vehicles, ammunition, POL and enemy observers. A base-ejecting projectile that expels a burning illuminant and a small projectile. The parachute drifts over the area, and provides illumination for maneuver or adjusting fire (with continuous and coordinated illumination). It can also be used to mark targets. The Artillery Module models improved smoke effects, that is, felt wedges impregnated with WP, which can provide 5-10 minutes of smoke over a large area. The 155mm howitzer can fire Remote Antiarmor Mines (RAAMS); Part of the Family of Scatterable Mines (FASCAM), RAAMS typically spread over a 400m area, arm shortly after impact, and will trigger when armored vehicles run over them. Copperhead Copperheads are special 155mm projectiles employed by later versions of the M109 series and the M198 howitzer. Approximately thirteen seconds before impact, the Copperhead's laser light sensor becomes active, and it uses fins to guide itself to the laser light source. It fuzes on impact with a shaped charge capable of destroying or disabling armored vehicles. Because of their relatively high cost, low volume (one platoon fires a single Copperhead every thirty seconds), and restrictive employment considerations, Copperheads are best used against enemy command vehicles and centers, and other high-value targets. Copperheads are ideally used in priority fire missions, and the reduced response time they bring. Improved Conventional Munitions (ICM) ICM is a base-ejection projectile with a MT fuze and a number of submunitions. APICM grenades saturate the target area with shrapnel, and are highly effective against personnel in the open. DPICM submunitions are capable of penetrating 2cm of armor, and have an antipersonnel effect as well. DPICM is highly effective against personnel in the open and soft vehicles. It is also effective against armor. ICM shells and sheaves assume a target with a 200m-radius. (instead of 100m for HE). ICM should never be fired High Angle. Sense and Destroy Armor (SADARM) Sense-and-Destroy Armor rounds are third-generation artillery shells carried by 155mm Howitzers. They deploy two sensor-fuzed munitions which parachute over the battlespace, and scan (using radar and infrared) for suitable armor targets. When they find such a target, they fire a penetrator to destroy or disable it. SADARMs are highly effective, and are called as any other round. If they do not find a suitable target, they self-destruct. The observer should ensure that no friendly units are in the area. SADARMs can be used effectively in CANNOT OBSERVE conditions, especially counter-battery fire. Fuze quick is a point-detonating fuze, and is used with HE and WP projectiles. Fuze quick is effective against standing and prone personnel, armored and soft-skinned vehicles. Fuze quick is useful for adjusting fire and engaging targets on ridgelines; but it is not recommended against entrenched troops or those on uneven ground. A fuze delay functions 0.05 seconds after impact. A fuze delay allows penetration of dense woods and light earthworks. Fuze time has a mechanical or electronic timing device that functions a set time after being fired. Fuze time, when used with HE and WP, should be adjusted to obtain an effective HOB; then these projectiles are useful against troops and vehicles in open and in trenches, as well as in rough terrain. Because of the variations between fuzes, fuze time should never be used for High Angle fire with these projectiles. Time fuzes are the only fuze used for Base-Ejecting projectiles (e.g., Illumination, ICM, SADARM) and smoke. VT (Variable Time) fuzes arm approximated 3.5 seconds before anticipated impact. They then use a radio signal to determine the shell's proximity to other objects (especially the ground). When they pass within a set distance of other objects (for example, 8 meters), the fuze functions. HE/VT is effective against all targets that Fuze Time is, except that it is not recommended for targets under canopy, such as those in woods.